During my time here at Greenshades, I have taken and passed our mandatory payroll foundations exam, which helps ensure Greenshades employees have a basic understanding of payroll. Being a payroll and HR centric business, it is for the betterment of our employees and our clients. I have been amazed by how much this has helped not only my discussions with my co-workers and my own taxes but also conversations I have had with my friends and family. Granted, I am not dispensing tax or payroll advice, but it has helped me guide them in the right direction or throw up a red flag when something does not sound right. Recently I was talking with one of my friends who is working for a business that is in a state of transition. After describing her job, her hours and what was expected of her, she told me that she was going to be transitioned into an independent contractor instead of an employee. I instantly had some red flags go up. Here are the criteria, courtesy of the IRS, that they use as a basis for determining an independent contractor. In addition to this, there are four factors presented: The type of instructions given, the degree of instruction, evaluation systems, and training. Financial control has five factors for consideration: Significant investment, unreimbursed expenses, the opportunity for profit or loss, services available to the market, and method of payment. The type of relationship is broken down into four factors: Written contracts, employee benefits, permanency of the relationship, and services provided as a key activity of the business. So, after sending her the information for the three considerations, she broke them down. Since she was told the hours she would be working and when she checked off the behavioral category. 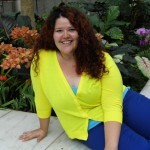 In addition, she would receive quarterly evaluations. She also looked at the financial part and determined that without her and the other independent contractors with the same job responsibility; they were a key aspect of the business. Well, this is not only monitored by the IRS but also the FLSA (Federal Labor Standards Act) under the Department of Labor. According to the Department for Professional Employees, in 2016, the research found that 35 states have laws against the misclassification of employees. In 2013, Massachusetts, alone, identified over 24,000 instances of employee misclassification. If you, as an employer, classify an employee as an independent contractor and you have no reasonable basis for doing so, you may be held liable for employment taxes for that worker. If you are not sure whether an employer is an independent contractor or an employee, the IRS has Form SS-8. 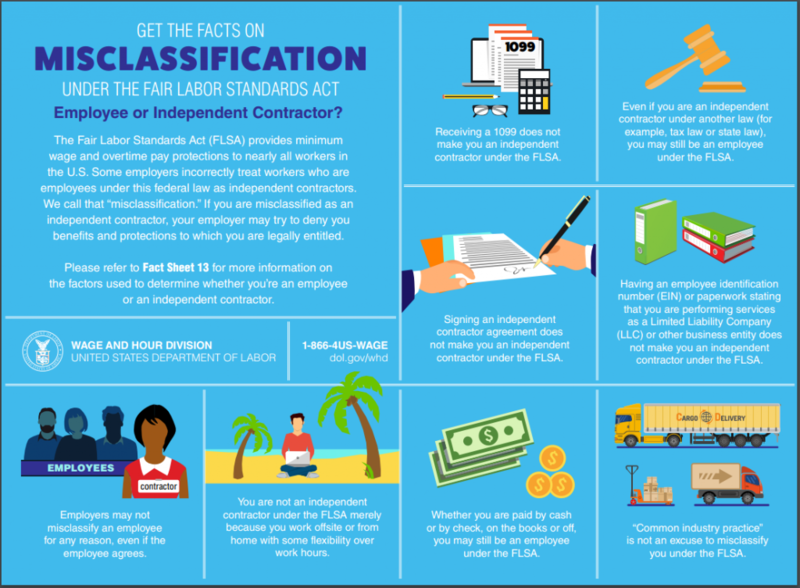 Here is a handy infographic from the DOL on employee misclassification. Get a head start on this year and make sure you are classifying your employees and independent contractors correctly. Avoid costly fines and evaluate your employees today.